After causing a stir in Europe, the self-titled CD was delayed when its American label shut down, but has fortunately just found a new life as an indie. 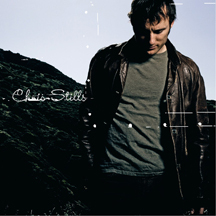 LOS ANGELES, Calif. — The roundabout journey of Chris Still’s self-titled second album started in France where the President of V2 Records signed the artist in 2005. Soon thereafter, the CD was released all across Europe and Canada, and with buzz mounting on the European continent (the Irish Times called it “sparkly, summery unkempt music”), Stills was looking forward to the U.S. release earlier this year, but suddenly, V2 shuttered its doors in America. Street date for the new album on the KCJ Records label is January 29, 2008. Stills, seeking to break out of his more classic folk sounding ‘98 Atlantic Records debut enlisted the services of producer Hod David, whose work with Maxwell he admired, drummer Matt Johnson (Jeff Buckley, Rufus Wainwright) and Mixer Juan Patino (Lisa Loeb, Jewel). Such combined talents spawned an album that helped to frame Chris’ songs in a surprisingly fresh Top 40/Rock landscape.